This 5K race course runs along the beautiful South Platte River on the Mary Carter Greenway in Littleton. Enjoy pre and post-race live music by RedVine Conspiracy and a post-race complimentary beer garden (for those 21+) sponsored by HalfPenny Brewing Company. Online registration is closed, please register at the event. Registration will open at 7:30am. Race will start and finish in the amphitheater of the Hudson Gardens & Event Center. Course will take participants through Hudson Gardens to the Mary Carter Greenway. Course is flat and fast, and very scenic with a view of the Platte River almost the entire way. Dogs are not permitted at the race. Strollers are allowed, we just ask that if you are pushing one, you stage towards the back of the start line at the beginning of the race. Parking is available in the 3 lots on the grounds or across the street at Arapahoe Community College. Please do NOT park at the Denver Seminary as we need to be respectful of their Sunday worship or on the side street to the north of the Event Center. Be sure to check out South Suburban Parks & Recreation District’s Race Series. Participate in multiple races in the series and earn points for participation and finishing position. Awards for top finishers in age/gender groups! Free to participate! 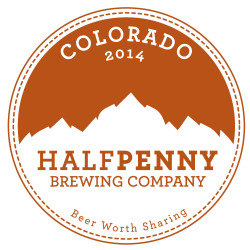 Thursday, April 4 from 4-7pm at HalfPenny Brewery (5150 E. Arapahoe Rd. Unit D1-B, Centennial, 80122. Receive 25% off a Crowler fill on the day of packet pickup. Day of the race packet pickup opens at 7:30am. Online registration closes at midnight on 4/4. Runners registering on race day will have the option to purchase shirts based on size and quantity available on site. Completed registrations are non-refundable. Registrations may be transferred to another runner two days prior to race day by contacting the race director. We will do whatever we can to hold the event in any weather conditions. 6115 South Santa Fe Dr.